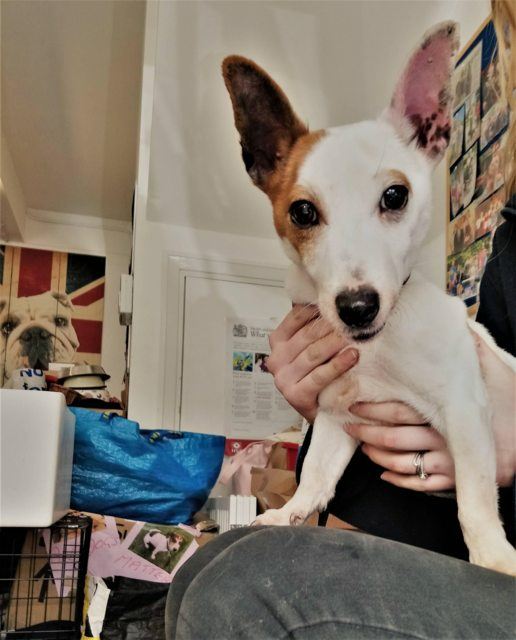 Please meet Bernie, who is a Jack Russell Terrier Cross. He came to us after he was sadly found abandoned. He is approximately 9 years old. Bernie is doing well in his foster home. Please don’t be put off by his age – he’s an energetic dog who enjoys his walks! Bernie is house trained and knows some basic commands. However, he is partially blind, but this doesn’t seem to phase him! He can live with children of 12 plus. Bernie has been okay with the dogs he has met at kennels, but because of his age may prefer to be the only dog in his new home.